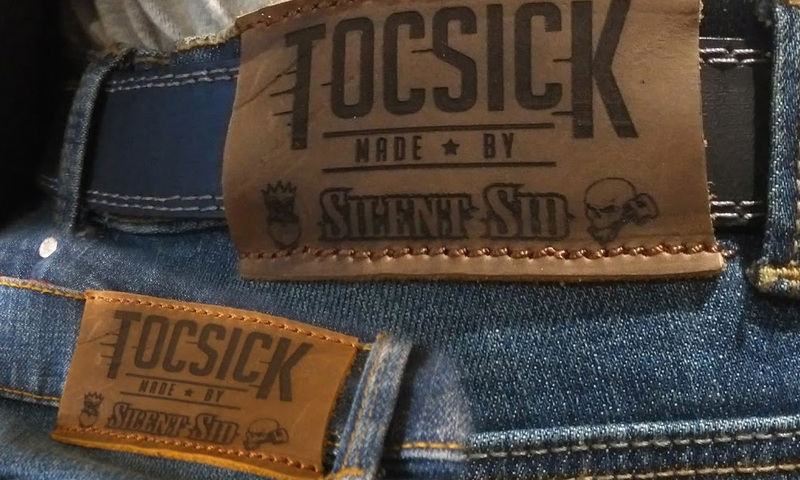 THE MOST WANTED CUSTOM BELT IN THE UK! can't get with mass produced inferior belts. us consistent stength & control of our stitch. Hair on Hide and even REAL Python skins! We're really into our custom motorcycles. and Waist Coats are also a speciality. Sometimes we just don't have the time to create some of the intricate details in our leather projects. 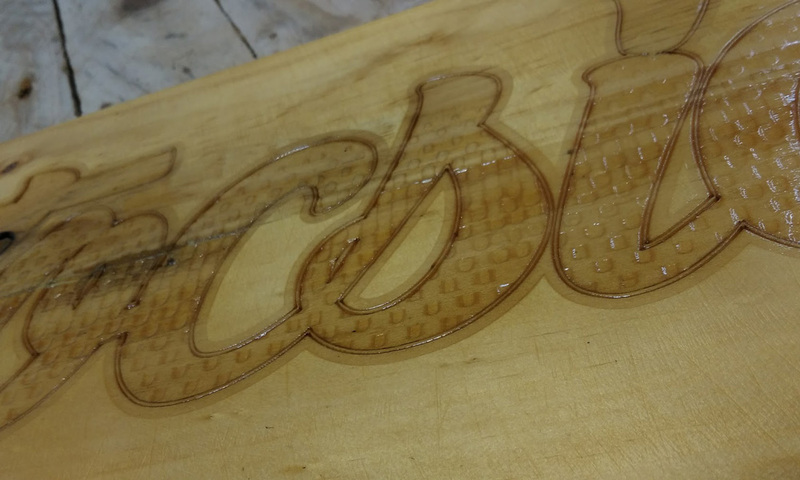 This is where our Laser machine really comes in handy. 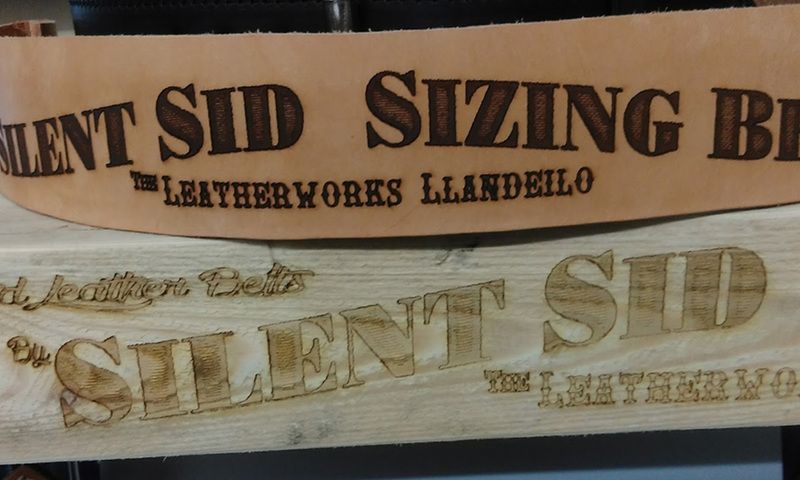 For example, to cut or engrave a Silent Sid logo on each belt would take an unrealistic amount of time, the laser can cut each logo in seconds. We have taken a few pictures of a customers weight belt being personalised with a design incororating a name and flower pattern. This page also has some further details on the process that are involved and sample pricing. 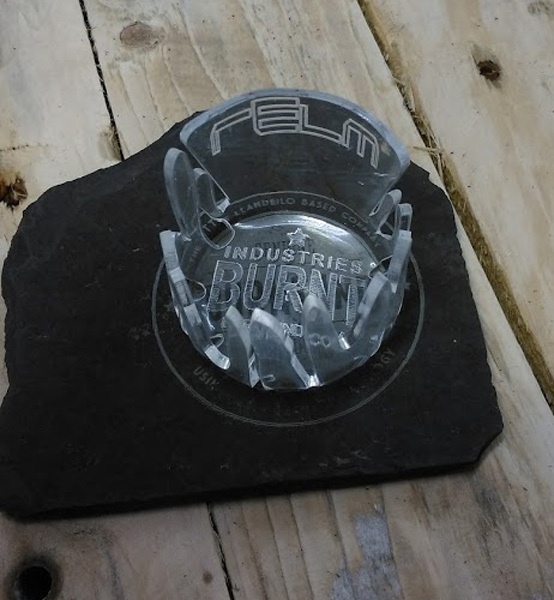 It's not just leather that we used our Laser on. 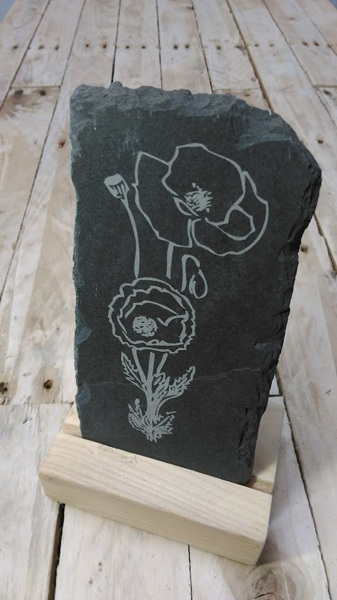 We etch onto locally sourced slate to creat coasters, place mats, etc and we also love sticking designs burnt into wood for shop desplays and general 'on off' pieces that really make a centre piece around the home. 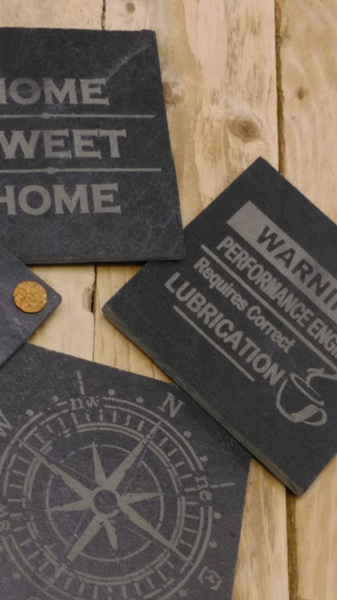 Below is a handful of examples of the work we've produced with the aid of our laser machine. 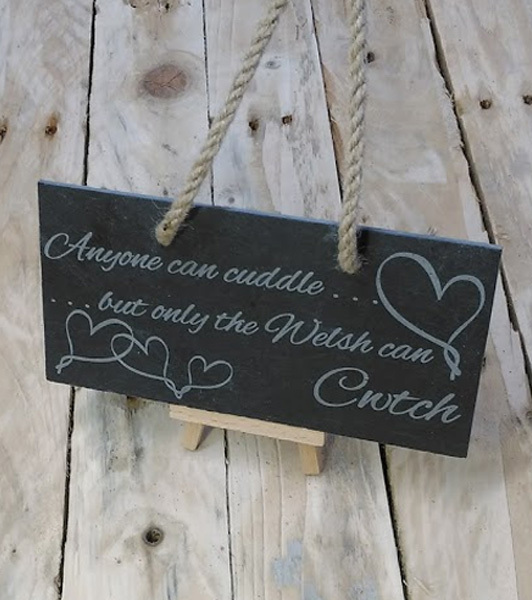 If you have a design in mind and you think our laser cutter could help you get that look into a project then give Silent Sid at The Leatherworks Llandeilo a shout, we may be able to help you create that very special and personal item. 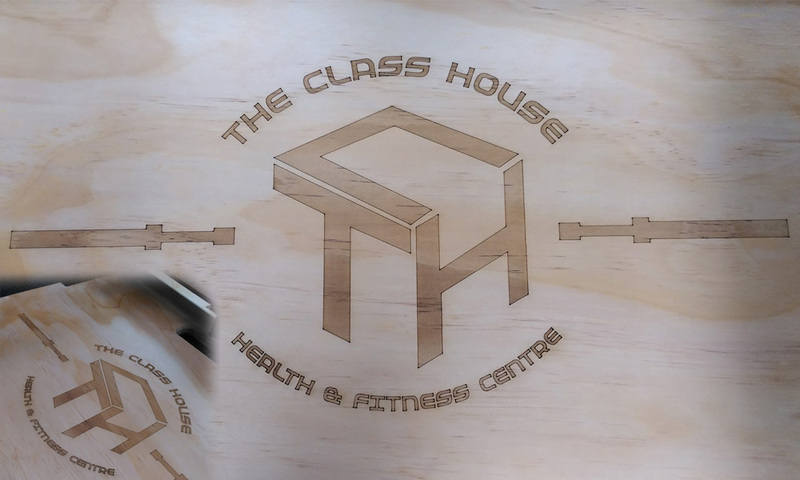 Our machine can take flat material (wood, leather, slate, acrylic, etc) of about 650mm x 475mm, we can help with the actual design and file creation and our rates are VERY reasonable. 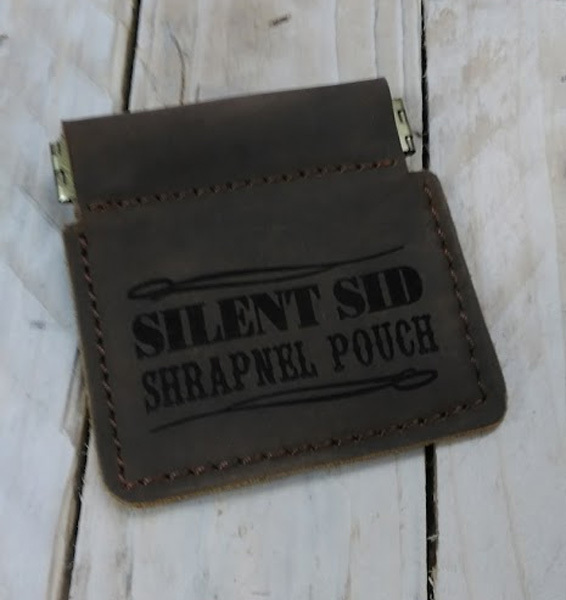 One thing we'd like to say though, if you've already ordered say a belt, wallet, etc and THEN decide that you'd like something added like a name or message onto the finished product then this may either be not practical or simply not possible (Due to either non flat items or dyes/colours/leather treatments being on a finished goods) Please, if you want that extra touch on one of our products then you'll need to let us know BEFORE we start your project.